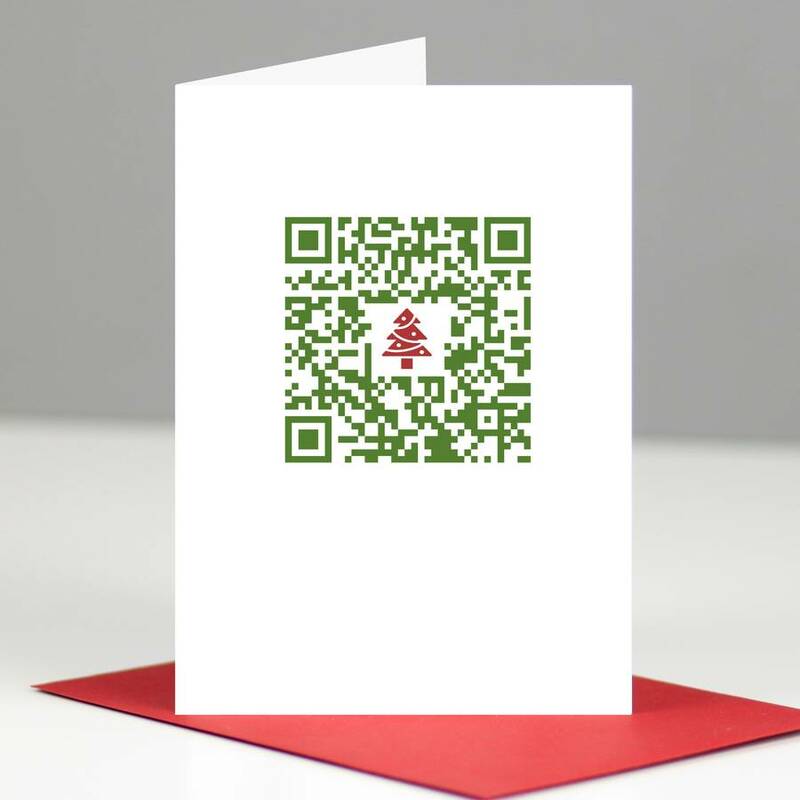 Send something different this year with our geeky personalised QR Christmas Cards. The perfect geeky way to say "Merry Christmas". This card will certainly raise some eyebrows. It's amazing just how many people spot it amongst a collection of cards on a desk and ask "what on earth is that". The message remains hidden until someone scans it! Each card has been left blank inside for your own message. The card and envelope is sent in a poly bag and a hard backed envelope to ensure safe delivery. Also available as a pack of 5, 10 or 25. The more you buy, the more you save. 300gsm brilliant white card and supplied with a red envelope.